I have lots of art to show on this post and in case you are wondering, no, we do not do art all day. I have 5 centers set up in my room and one of them is the art center. Students visit that center once a week. 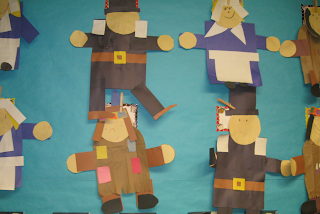 So, to explain, we made the Indian the first week of November, the Pilgrim boy/girl the second week of November, and this week, students are working on a turkey. This would look really cute painted and if I did this whole group, we would paint them. Since it is a center, we don't have time for paint to dry. I loved the writing that Mrs. Carroll did with her class at The First Grade Parade so I had to do it with my class. 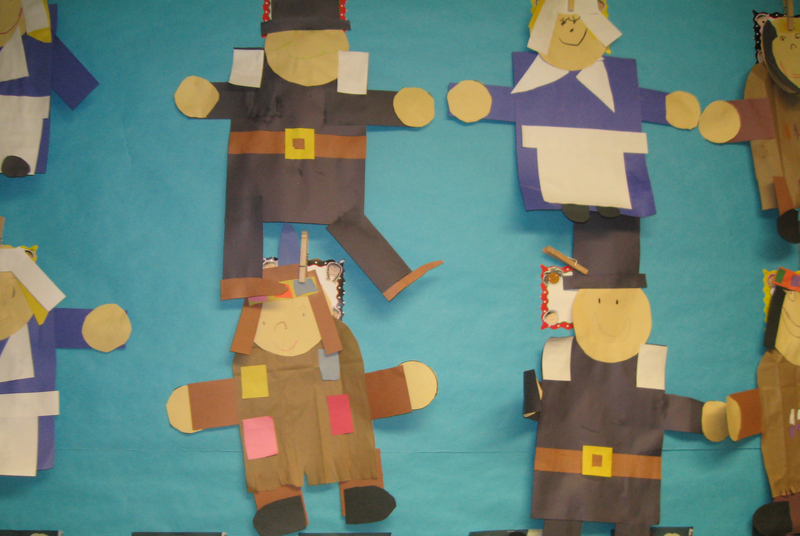 The students had to write: I have a ____ but a pilgrim boy/girl did not. They really turned out cute. Then one of my wonderful coworkers found a cute turkey activity on Pinterest so we did this little art project for homework.